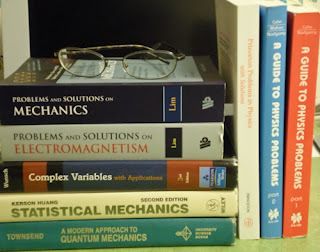 The past two months, I have been studying for the PhD qualifying exams: the first step of becoming a full fledge PhD. This exam consists of a review of all the topics covered in my undergraduate study in physics. I have to admit that it is not always easy to study and solve physics problems continuously throughout the whole day, and still manage to squeeze in some time for food blogging. I still have 5 days to prepare myself before the exam. Here is a picture of the books I have studying the past months. I will leave you with this pie which will sure satisfy all my viewers. This dessert has only four ingredients: easy to make, requires no fancy or hard-to-find ingredients. You can think of this pie as an extended version of my gluten-free coconut macaroons. 1. Preheat oven to 350F. 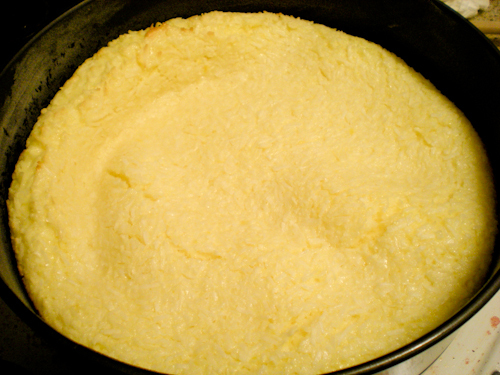 Grease a 9'' spring form pan with butter and coat with flour. 2. In a medium bowl, whisk eggs and add in condensed milk, coconut flakes, lemon juice and zest. 3. 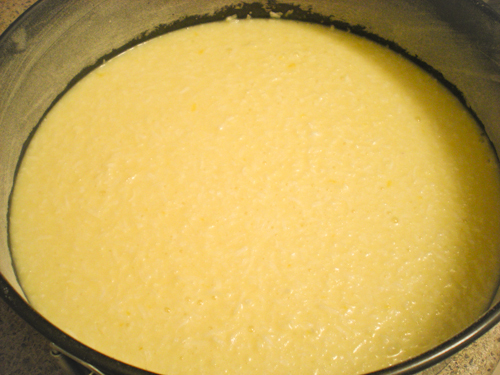 Pour mixture to the prepared pan. Bake for 25 mins until golden. 4. Cool completely. Sprinkle with powdered sugar. Serve. This pie looks awesome! And good luck with your exams! (I have a PhD in psychology!). wow....you must have so much to study! Good luck! Your coconut pie looks liek the perfect way to brighten the day after a lot of studying ;) It looks really yummy! Good luck with your PhD! Coconut pie looks like a perfect treat when you have a study break! Looks delicious, love coconut flavor! Look very tempting! Good luck in your exam. Wanted to make this pie but did not know the right amount of ingredients, thanks for sharing, will try out and let you know. coconut is always a darling ingredient. good luck for ur exams! Quick and lovely treat for the break from studies!! Looks delicious. Love it anything with coocnut. study well i know you will pass the phd qualifying exams in flying colors. I truly love coconut and milk in combination within a dessert. They come together to make such a perfect texture! This would be just perfect. I am noting it down. Ps. Good luck with your study! What an important time for you. SIMPLY delicious! I love coconut and this pie looks so soft and inviting!!!! Your coconut pie certainly looks delicious! Would really like to have a slice of this! Awesome coconut pie, looks absolutely marvellous..Good Luck with ur studies.. Very tempting recipe, for me tempting is where coconut is in..
A quick and delicious pie to whip up during a study break. Looks good. Good luck with your exam! I have a deep love for coconut - delicious pie! I am always impressed when people have so much going on in their lives yet still manage to blog. Best of luck with your exam! So simple and delicious. Love this! Can I pile on some (gf) whipped cream as well :-)? I love coconut anything! The pie looks divine. hi victor, that's a simple recipe and sounds really easy to make, i see when i can make this one day. 2 more days to exam now. hope you're coping well with your studies. I always think you're a confident man and with this, i'm sure you could tackle them very well..all the best, ya! Good luck with your exams! It's a stressful time, but you feel so good when it's over! The pie looks lovely! Oh i hear you! I hate exams is all i can say, spinning head seeing the pile there! good luck Victor, hard work always pays :) coconut pie looks great! P.S. Good luck with everything!!! I love coconut anything - this looks wonderful! So simple and delicious! Nice to know that it's gluten-free! That looks amazing! I love a good pie! Hope your exams go well...pop over to my blog and check out my broccoli salad. You know I love to hear your opinion. Wish you all the best for your exam! 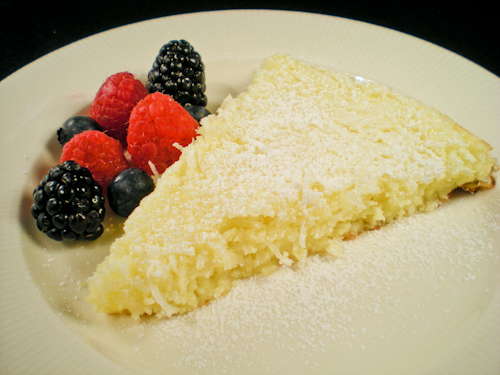 A very delicious coconut pie! Ohh this coconut pie looks yummy. 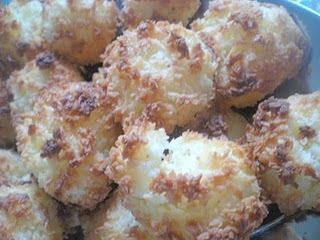 I like all kinds of sweets with coconut. It's amazing you cook and study at the same time and do so well in both! It looks so yummy. I think it is more tasty then it looks like.